In May 2013, FSC dissociated from Danzer Group after research concluded involvement in unacceptable activities at former subsidiary SIFORCO in DRC, especially in relation to the nearby Yalisika community and direct surroundings. 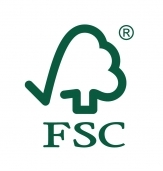 As a result, Danzer Group and all its subsidiairies (including IFO in Congo) lost their FSC certificate and the right to use FSC trademarks. A Memorandum of Understanding was signed between Danzer and FSC on the conditions for re-association. The first condition was to build medical centres and school for Yalisika and other nearby communities, conform the social contract. The second condition was to amend the participatory mapping procedure at IFO with an emphasis on obtaining the Free Prior and Informed Consent of communities for using their customary land and the mechanisms to deliver benefits to them. The Forest People Program independently verified that Danzer had met the conditions for re-association. For more information, see the FSC website.